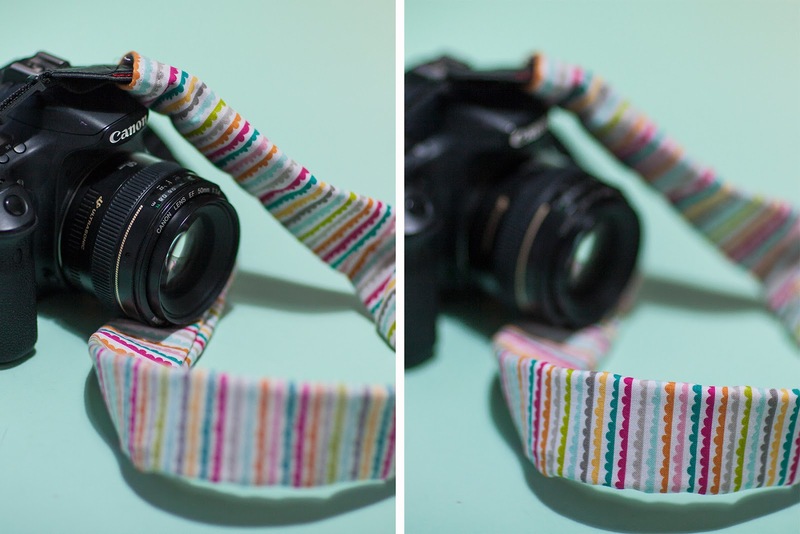 We are easing into the New Year with an easy DIY today, one that will significantly improve the inside of your camera bag. 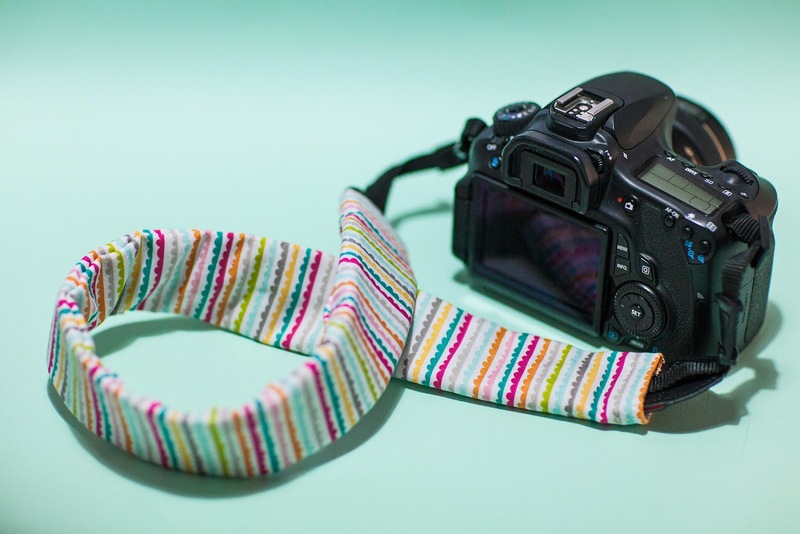 I find the rubberised backing on most camera straps really catch on my neck and if I am out and about it can be a real pain. 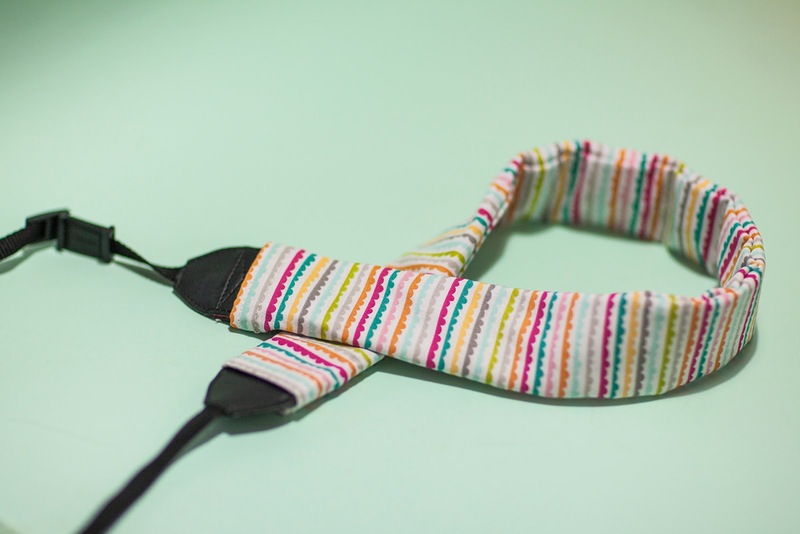 About a year ago I made a strap cover, now I can't live without one! I have since made lots for family, friends and anyone who has admired mine. They make a great gift and trust me, you will wonder how you lived without one for so long. 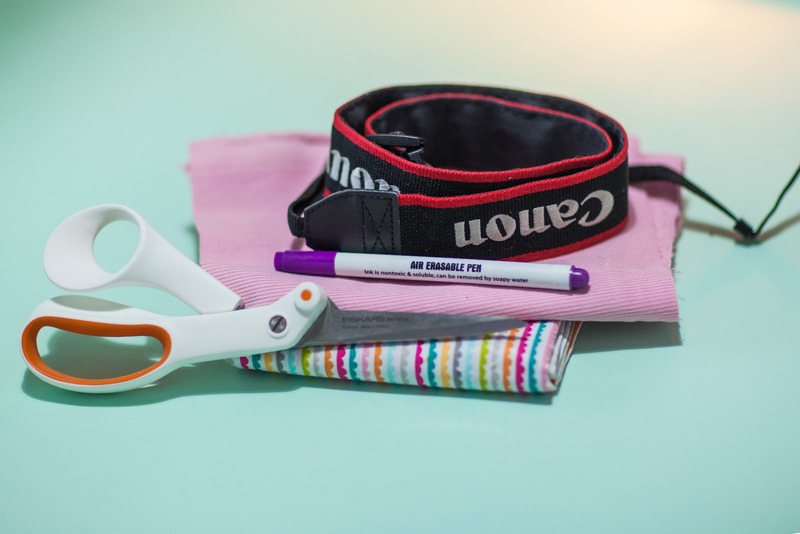 You will need: Fabric for the outside (cotton or polycotton work well) and something slightly heavier for the inside (I used corduroy, but felt or fleece would also be a good choice) Your camera strap, an air erasable pen or chalk, scissors and a sewing machine (optional). Start by placing your two fabrics one on top of another wrong sides together. 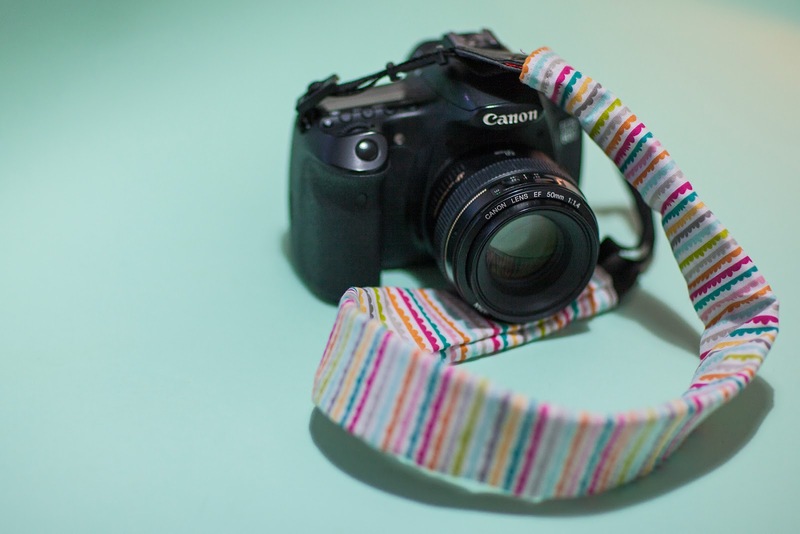 Then take your camera strap and place it down on top, use your pen or chalk to draw around the strap, then flip it over and draw around it again. Don't forget to mark where the leather end piece comes as it will make the cover fit better if you make it to cover those slightly. Cut around the edge of your markings leaving a rough 1.5cm around the edge for a seam allowance. On the short ends fold the two fabrics up and stitch it up with two rows of top stitching. Then fold the cover in half length ways and pin it along the seam allowance. 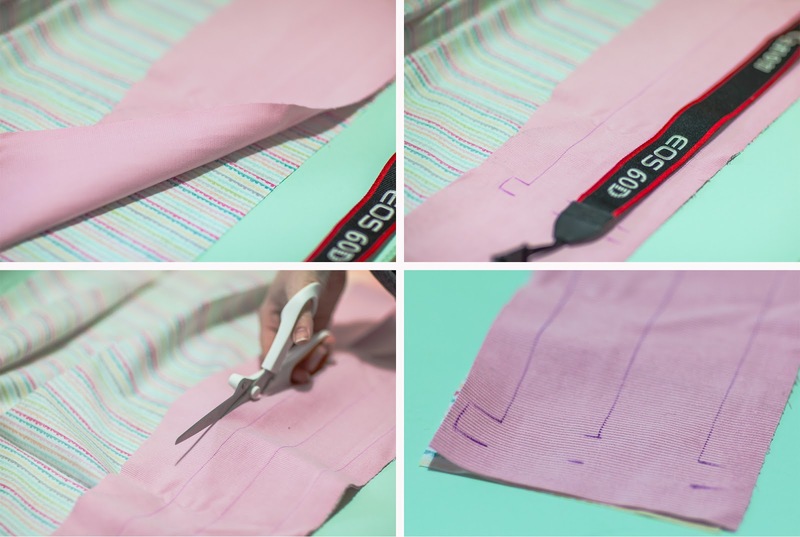 Stitch along the long length of the cover and trim away any excess from the edge. 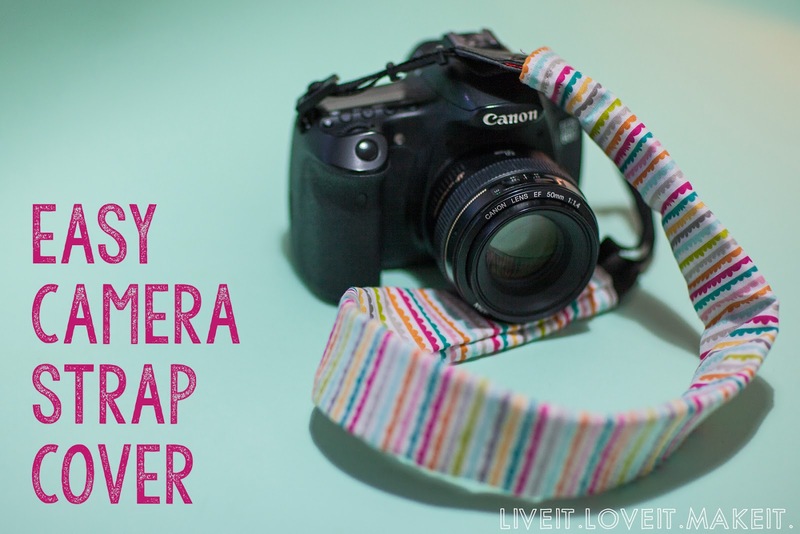 Turn the cover inside out and slip it over your camera strap. There you have it a pretty, comfy strap cover which will look lovely on your camera and if you're anything like me, stop your hair getting caught in it when you are trying to get the perfect shot! So easy right? 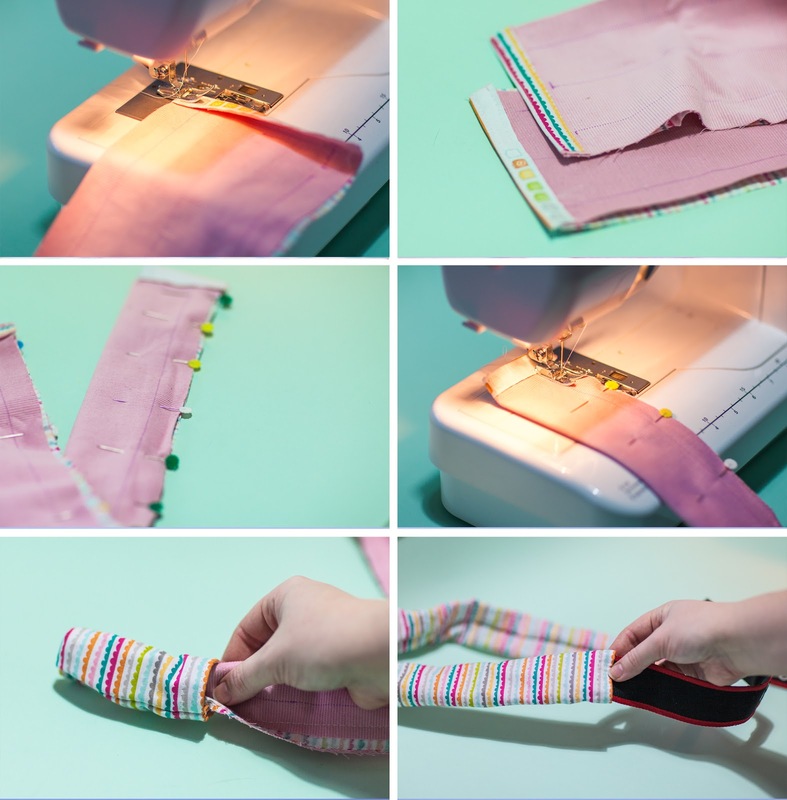 A fun little project to try this weekend, the perfect thing to ease yourself into your new sewing machine or a good chance to fire up your machine after the new year.